History - Rossi Oleodinamica S.R.L. First of all we are people. People who want to provide their customers with heavy duty vehicles, which will last a long time. Like our history.It was the early 70’s when Lazzaro Rossi, by then backed by ten years of experience in the maintenance of waste collection vehicles, decided to start manufacturing vehicles on his own account.It is here that his two sons, Oscar and Galiano, come into the story with their own insight and ideas.From the start, focus was placed on small vehicles and the first patent was of course not long in coming. Hence the first waste collection equipment was mounted on an Ape Piaggio three-wheeler. Now the path was open. 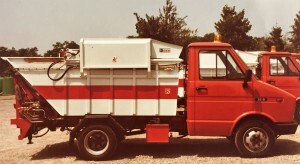 A few years later came the second family jewel, the R108, the first mini-compactor in history, i.e., a piece of equipment for the collection and compaction of municipal waste mounted on a small truck. The year was 1980 and thanks to this patent, the company forcefully entered the urban cleanup sector at national level, and introduced its machines to major companies in the area.Over the years, the company grew, as did production and the machine inventory. A compactor was introduced mounted on vehicles with a load capacity of over 10 tonnes, the KR2000, always consistent with company traits: the ability to download waste into large compactors. The reliability and quality of the Rossi name began to be sought beyond Italy. Our vehicles crossed national borders and reached overseas markets – Spain, France, Greece, Croatia, Macedonia are some of the countries we export to. Meanwhile, our commitment grew towards designing and building increasingly more efficient and innovative machines. 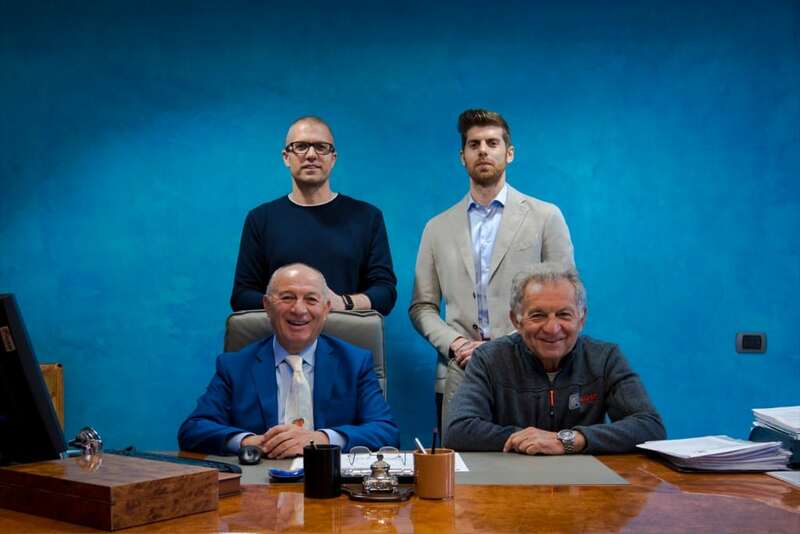 In the Nineties, Rossi Oleodinamica opened its door to Omar and Eleonora, the children of Galiano and Oscar, who immediately brought with them that innovative and fresh air which gave further impetus to the company. The company now manufactures over 12,000 different machines and its quality is not only acknowledged by its customers but also by the competition. Suffice it to say that our machines are not only the most appreciated but also the most copied. Meanwhile time passes and standards continue to rise. In 2003 we obtained ISO 9001:2000 certification, which allowed us to raise our quality standards even higher. On 6 October, 2011 a contract was signed for marketing our vehicles throughout Europe with Geesinknorba, a leading company in the waste collection compactor industry. But of course, for us innovation does not stop here, and a few years ago we welcomed two new entries among our products, the R200 and R300. Two sturdy 7 and 10 cubic metre hopper compactors, in great demand abroad, but equally appreciated in Italy. Moreover, in recent years, we have been availing ourselves of Lean Thinking methodology to provide our customers with a new product in step with the times. We are always at work improving and pulling out of our hat the ideal solutions to the problems of our customers.